Facebook, a service built on real names and real identities, will tomorrow start allowing prominent public figures to verify their accounts and then opt to display a preferred nickname instead of their birth name. 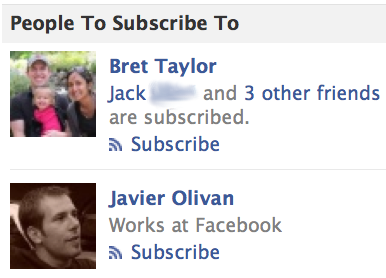 Those with verified accounts will gain more prominent placement in Facebook’s “People To Subscribe To” suggestions. Verified accounts are not a departure from Facebook’s policy that users sign up with their real name, as birth names will still be shown on a user’s profile About page. Instead it’s a way to ensure people don’t subscribe to the public updates of impostors. It will also arm Facebook for its battle with Twitter to control the interest graph. Tomorrow, some users with many subscribers will be notified through their profile of the option to verify their identity, Facebook confirmed with me. There’s no way to volunteer to be verified, you have to be chosen. 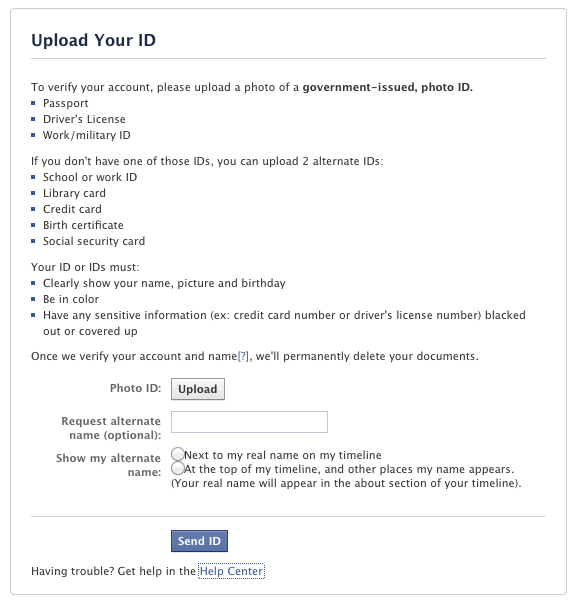 These users will be prompted to submit an image of a government-issued photo ID, which is deleted after verification. They’ll also be given the option to enter an “alternate name” that can be used to find them through search and that can be displayed next to their real name in parentheses or as a replacement. For example, Stefani Germanotta, aka Lady Gaga, could use Verified Accounts to verify that she is the famous Stefani Germanotta, to display her name as “Stefani Germanotta (Lady Gaga)”, or display it as simply “Lady Gaga” with Stefani Germanotta appearing the About page of her profile. Lady Gaga would then appear more frequently in Facebook’s Subscribe suggestions. Additionally, those who enjoy her music wouldn’t accidentally subscribe to another person with the same birth name, or that registered an account with that name in hopes of duping subscribers and spamming them. Facebook will manually approve alternative names to make sure they’re real stage names, pen names, or otherwise established monikers for applicants. It will need to be careful to avoid mistakenly verifying fake accounts, like Twitter did in the Wendi Murdoch fiasco. Unlike Twitter or Google+’s verification programs, verified Facebook accounts won’t show any sort of badge or denotation that they’re approved, though, which could lessen the program’s ability to guide users. This new system shouldn’t be confused with the verified developer program or secondary email verification. Previously, those who wanted to display a nickname had to change their official name. The conventional hack was to place it in parentheses after one’s name, but Facebook maintains a long block list of unacceptable words, and too many unauthorized name switches can cause one’s name to become unchangeable. 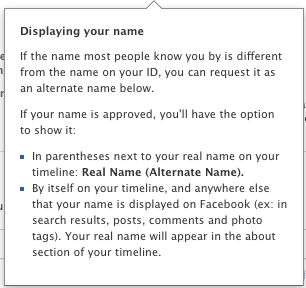 Facebook does allow users to show their maiden name or their real name in an alternate language on their profile and search, but not across the site like a verified alternate name. In an effort to clean up the service and enforce its real name policy, in late 2010 Facebook stopped allowing the use of special characters in names. Three months ago, Facebook launched its asymmetrical follow feature for subscribing to the public updates of people you’re interested in but not friends with. There haven’t been widespread reports of impostor spam, but this will prevent the problem without denying accounts to normal people who happen to have a famous name. Facebook has been making a lot of progress incentivizing celebrities and journalists to use the feature by making it easy to amass subscribers from its user base that’s 8 times the size of Twitter. My subscriber count blew past my Twitter follower count of roughly 3,000 in 2 months, and now I have 30,000 subscribers. Many of these come from Facebook’s dynamic suggested user list that appears in the sidebars of the site. Verified Accounts will allow it to improve its suggestions algorithm. Soon, you won’t have to connect with Calvin Broadus. If you’re cool enough, you could become friends with the verified Snoop Dogg.